At 4 Star Obstacles, our goal is to empower the community to be more active by offering safe, creative, and fun physical challenges. We strive to build the physical and emotional strength to overcome any challenge by teaching natural and FUNctional movements on progressive and evolving obstacles that excite and motivate. Ultimately, our aim is to for you to release your inner ninja and have fun doing it. Our facility boasts 5,000 square feet of obstacles and equipment. We have everything you need to master the movement arts and went to great lengths to custom construct and design each obstacle so that you never get bored. Your only limit is your own imagination. Ninja Warrior obstacles including the Cliffhanger, Double Salmon Ladder, Quad Steps, the Warped Wall and more! Come experience our challenging obstacle course designed with signature elements of gymnastics, martial arts, rock climbing, rope courses, Crossfit, and more. Jump Climb Extreme is equipped with obstacles like: Salmon Ladder, Ninja Steps, Cannonball Alley, Plank Traverse, Ring Toss, Warped Wall, Spider Climb and more! Visit Jump Climb Extreme today! Diverse packages available: hourly passes, bulk punch cards, and group events. Are you an American Ninja Warrior fan? Do you think you have what it takes to complete the course? The amazing athletes you see on the show train for thousands of hours to prepare for their opportunity. Now you can try an obstacle course with fantastic challenges like the Warped Wall, Double Salmon Ladder, Rope Jungle, Quad Steps, Cannonball Alley, Ring Toss and more – right here in Harford County! 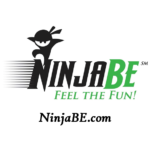 Come unleash your competitive spirit at NinjaBE! 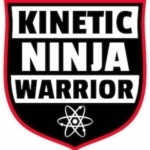 NinjaBE inspires people of all ages to dive feet first into 21st century fitness by offering a fun, competitive, and unique way to strengthen your mind, body, and spirit through conquering a realistic & doable Ninja Warrior Obstacle Course. NinjaBE has Ninja Warrior Courses, the Gladiator “Eliminator,” Virtual Reality FitGames, Ultimate Dodgeball, Dual Mechanical Bulls, 22ft Climbing Walls, NinjaBE Team Games, Tiny Ninja’s Classes, Team-Building Events, Birthday Parties, Home School Workout Programs, and a Parent’s Quiet Room with Viewing Windows. Guess how much FUN you WILL have at NinjaBE? (spoiler alert)…A LOT! 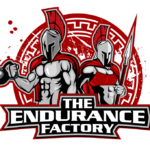 The Endurance Factory is a Spartan SGX Certified group fitness & obstacle race/ninja warrior training facility. Train to Race, Train for Life. Spartan SGX, Spartan Race’s official training program, is a scientifically-supported solution to get anyone physically and mentally prepared for a Spartan Race, or to live more vitally. GX is grounded in functional bodyweight exercise to improve agility, athleticism and power; the workouts are progressive, varying in exercise volume, intensity and specificity over time. SGX is also about empowerment. Know of an ninja warrior gym we're missing in Maryland (MD)? Let us know and we'll get it added. It's completely free! Looking for even more American ninja warrior training gyms in Maryland (MD), or local ninja warrior competitions in Maryland (MD)? Check out our sister site NinjaGuide.com!